Local TV company Made Television is preparing to expand its network of stations to eight this spring, with confirmation that it will be launching a new service in Clwyd at the end of April. The channel, Made in North Wales, broadcast from the Moel-Y-Parc transmitter in North East Wales will mark its launch on the 26th April 2017, with the transmission of a range of local content, including a nightly news bulletin and a variety of entertainment covering lifestyle, sport and welsh language programming. The channel will be available 24 hours a day, 7 days a week with a catch up service available online. The launch of Made in North Wales will follow that of Made in Teesside, which goes on air after a long delay on 30th March 2017. Both channels will be distributed on Freeview, with Made in Teesside appearing on channel 7 and Made in North Wales on channel 8. Made in Teesside will also be available on Virgin Media in the area, on channel 159. North Wales is a vibrant and beautiful part of the UK and we are thrilled to have the opportunity to entertain viewers living here with programming that will be tailored to their needs. Our aim is to inspire and engage and we are looking forward to unveiling some fantastic new programming when we launch next month. 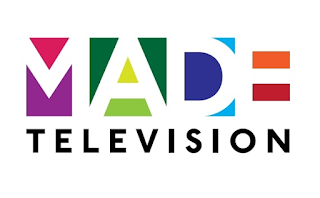 Since launching, Made Television has reported a 100% year-on-year revenue growth, with repeat business accounting for a high proportion of advertising at the City TV stations. Made in North Wales launches in place of Bay TV Clwyd, following the dissolution of the company that originally won the licence to broadcast in the area. Made Television has been able to expand its reach beyond its originally awarded local TV licences through the acquisition of a number of failed local TV licences. Last year, it saved Liverpool's local TV service, after financial troubles hit the previous licence holder Bay TV Liverpool. The relaunched local TV service in Merseyside now reaches 670,000 viewers a month. Made TV's schedules mix local programming with syndicated shows broadcast across the local TV network plus a number of former Channel 4 programmes. Both Made in North Wales and Made in Teesside are part of regulator Ofcom's 'phase two' of local TV licensing, licences awarded to companies in 2014, following the 2012-13 award of 'phase one' licences covering the major cities. Almost all 'phase two' licences have failed to launch within the originally stipulated two year launch timeframe, with regulator Ofcom privately and quietly granting extensions, avoiding the levels of public scrutiny that some 'phase one' channels faced.